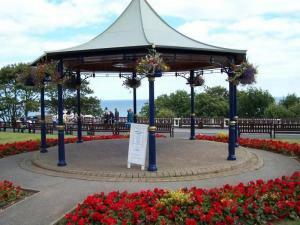 Rotary Club of Filey - welcome! Please scroll/swipe down through this page to find out more about us, in addition to the pages linked in the menu, top-left. See what Filey Rotary achieved in the past Rotary year - a small Club doing big things. Click on the top left image to start the slide presentation. Our activities follow two areas: - Providing direct help and support in the community, - Fund raising and making donations to good causes. 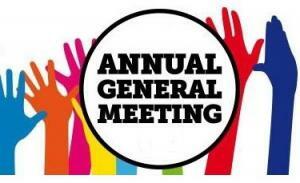 On assuming the role of President for the year 1 July 2018 to 30 June 2019, at our meeting held on Thursday, 28th June, our incoming President, Liz Butler commented as follows. The logo for the coming Rotary year is ‘Be the Inspiration’ Well, with the support, hard work and friendship of all Rotarians I’m sure we can be inspired to continue to serve our local community and those farther afield. We shall continue to include in our programme those projects and events which support both good causes in the local area and internationally. The main local charity we shall be supporting is Remap. Remap is a national charity which provides specialised technical aids for disabled people where such aids cannot be met by other means. I visited the local branch based in Scarborough and met the two lead volunteers, both former engineers, who have given 40 years of voluntary service to creating special aids for handicapped people in the Scarborough area. The main International charity will be The Jairos Jiri Association based in Harare, Zimbabwe, and we will continue to help the ‘Smiles to Tanzania’ Charity. Lastly, but by no means least, we will continue to hold our Club’s traditional social events. These will include speakers at our third Thursday in the month meetings, our Charter Night in December for which an organiser is needed, the Club Celebration Night, and the President’s at Home event. 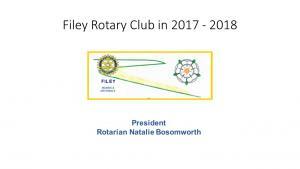 I think we can all look forward to a very active, enjoyable year together,"
Come and hear how Filey Rotary has been helping the local community and those further afield during the past twelve months. 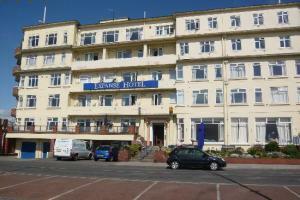 Members and guests will be served with a buffet meal following a presentation about our activities. 1st Thursday of the month meeting is held at St. Mary's Church Hall, Filey (car park adjacent to church in South Crescent Road).